The latest advances in recommendation engines that harness big data help further optimise the recruitment process, attendees at last week’s cpjobs.com HR seminar were told. Machine learning and big data make it possible to tailor-make email messages for individual jobseekers as well as enhancing their experience visiting job portals. Daniel Hagos, regional client success director, Asia-Pacific, at Emarsys, said he believed personalisation helped position products and services based on individual consumers’ current specific interests and their behaviours when browsing a particular website. 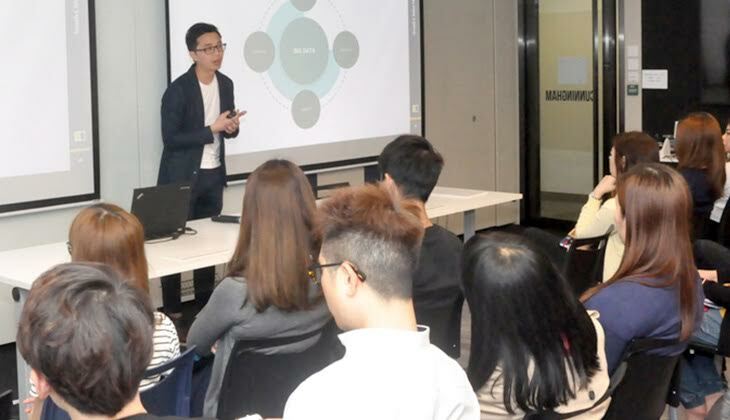 “Companies need to ensure that the messages sent to individual consumers match what they seek,” he said at the cpjobs.com seminar, which was held at the South China Morning Post’s new offices in Times Square. Emarsys, the world’s largest independent digital marketing platform, had a key role in enhancing cpjobs. Continuous updates on a website’s content and job postings are necessary to ensure it maintains relevancy for users. Hagos explained that machines can gather information, either through explicit data, which means users specify their preferences, or through implicit learning, where the machine learns by analysing behaviours and searches conducted by individual job seekers. Although there have been problems with traditional digital platform solutions such as job boards, tools can be implemented in the recruiting funnel to make the process more efficient. “From exposure, engagement, screening, through to offers and hiring, the number of candidates declines progressively. Companies can identify problems at any of these specific stages and come up with specific target solutions,” Lam noted. Innovative office design that caters to the needs of employees across different age groups and backgrounds helps contribute to the workforce’s vibrancy and dynamism, according to Cecilia Kwok, business director, recruitment business of the South China Morning Post, who used the company’s new offices to illustrate her point. “Our office is designed as an activity-based workplace – to be ‘Digital, Integrated, Joyful, and Agile’,” she said. “Millennial employees will find many features appealing. The design emphasises connectivity, open communication and collaboration – our office is equipped with the latest technology and connected with comprehensive Wi-fi coverage. The new office design fills two needs in one go. “We make use of the design to achieve the best use of space. Instead of assigning a fixed seat for all staff, we design our office with an abundance of ‘flex seats’ on every floor. The social hub areas serve multiple purposes and can be used for employee recreation, relaxation, collaborative working and hosting internal and external events,” explained Kwok to attendees, who were treated to a tour of the premises after the seminar.